888Poker.com has unveiled a brand-new online poker platform that is now available for real money play. 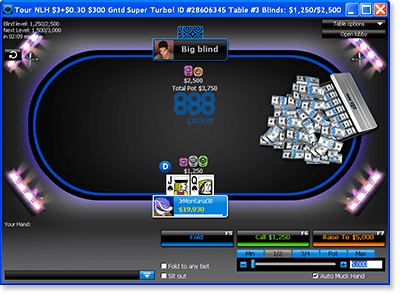 Poker 8 includes a number of upgrades on the company’s existing offerings, including enhanced graphics and updated designs. The platform was conceived on the back of comprehensive feedback from online poker players in combination with extensive research conducted by 888’s R&D department. The first phase of the release has gone smoothly and a number of new updates are scheduled for gradual implementation over the next few months. “We’re thrilled with the initial roll-out of our Poker 8 platform, which includes a number of exciting and innovative new features to make the 888Poker experience even more enjoyable,” said Guy Cohen, 888 Holdings Senior Vice President of B2C. 888Poker is well established in Europe and North America, with licences to operate in the US states of Nevada, New Jersey and Delaware.